SHARP & SPORTY!!! AWESOME COLOR!! EXCELLENT MILES! 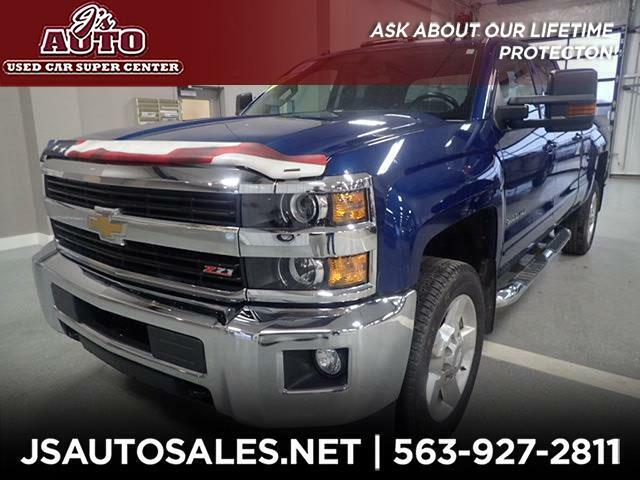 ONLY 43,352 miles on our SUPER SHARP 2016 Chevy 2500HD LT Crew Cab 4x4. Has solid tires, a variety of convenient power options, heated leather seats, 20-inch alloy wheels, and more. Plus we even INCLUDE our LIFETIME protection plan, when you regularly service with us. Call or email our trusted, locally owned & operated dealership, here at J's Auto TODAY!